WELL experienced in knife edge election results decided by postal votes, Capricornia MP Michelle Landry believes the Wentworth by-election isn't done yet. A crushing defeat for the Liberal Party in the Sydney seat of Wentworth seemed a foregone conclusion last night but as counting of votes resumed today, Independent Kerryn Phelps' lead has dramatically narrowed, with Liberal candidate Dave Sharma now trailing by just 884 votes at 49.39 per cent two-party-preferred. Ms Landry said on the back of strong postal vote support, Mr Sharma was still in the running for the by-election and the LNP was looking at sending some help from Queensland down to Wentworth. "This was always going to be tight, we will be waiting with bated breath for the rest of the counting to go on,” Ms Landry said. 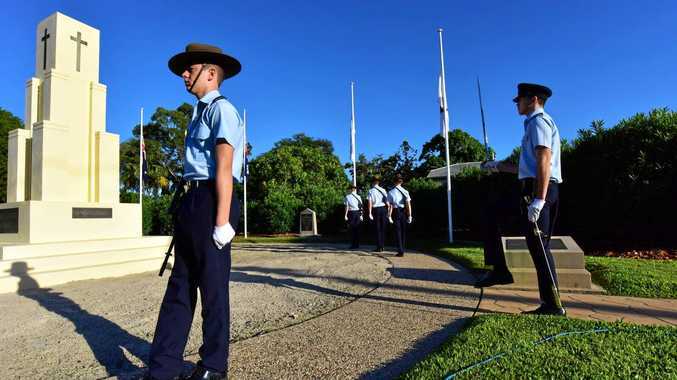 "I think there's some help going down from Queensland because we are used to counting in marginal election campaigns, scrutineering and all the rest of it. 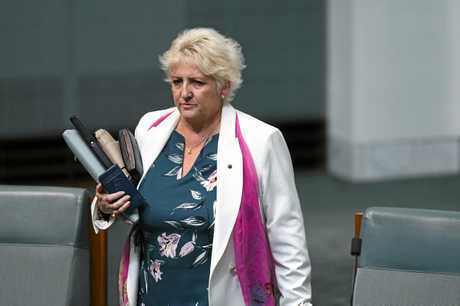 With the Liberal party copping a massive swing against it, on track to lose a seat they've held for 117 years, Ms Landry said they were being punished, hinting that some serious soul searching would be required before next years federal election. "It's certainly had a shake up and we need to learn from what went wrong there,” she said. "The voters were obviously very angry, with good reason. Their member there was the Prime Minister and they were pretty cranky that he lost his position and then also the fact that he resigned. 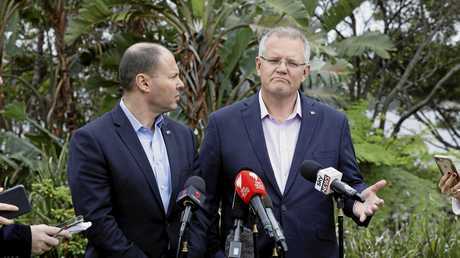 Speaking at a press conference this morning, Mr Morrison said Liberal voters of Wentworth had expressed their anger at the parliamentary Liberal Party and their dumping of a sitting Prime Minister. "There's no doubt about that, and we cop that fairly on the chin,” Mr Morrison said. "The event of two months ago angered and outraged many Liberals and particularly those in the seat of Wentworth. The interim results of an exit poll of 1049 respondents in Wentworth, commissioned by the Australia Institute and undertaken by Lonergan Research, showed the Liberal primary vote collapsed primarily as a result of the community's concern about the government's support for coal and inaction on climate change. Deputy Director of The Australia Institute Ebony Bennett said the Wentworth by-election was "a referendum on climate change action and it's clear now that voters are willing to punish the government at the ballot box for their love of coal”. 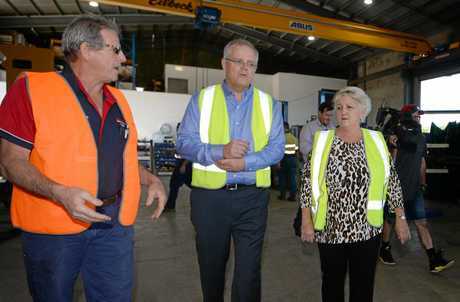 Ms Landry said it was typical of inner city seats like Wentworth to be more concerned about issues like climate change and being anti-coal but said that the coal sector's importance to the country's economy couldn't be understated. "I'm a big supporter of the coal sector, this is a major part of our economy,” she said. "I think some people need to realise that coal provides a lot of wealth in this nation, the royalties build bridges and roads of capital cities and people can't deny that. She acknowledged the need for the Coalition Government to address community concerns and come forward with a credible policy for emissions reduction. "The guys are certainly working on this. I believe there will be some more announcements, certainly before the election next year,” she said. Ms Landry echoed the words of Mr Morrison saying that her government would remain focused on "the things that count”. "What they want to continue to do is push for help for small and family businesses, for farmers and rural communities that are doing it tough in the drought,” she said. 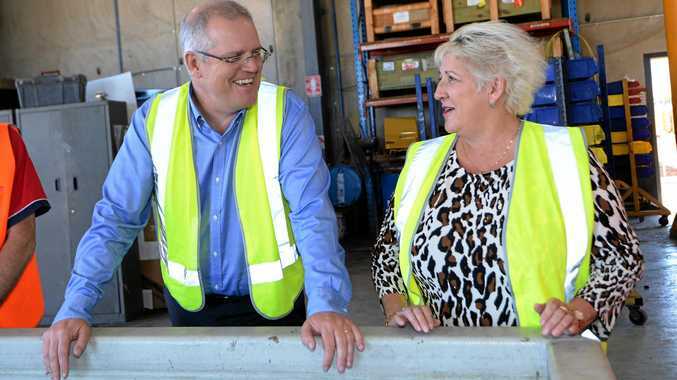 Labor Candidate for Capricornia Russell Robertson has slammed the LNP's performance in the Wentworth by-election, accusing Capricornia MP Michelle Landry of being complicit with the government's dysfunction. 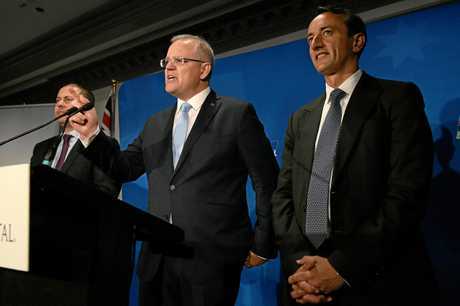 "The LNP's disastrous result in Wentworth shows just how chaotic and divided the Abbott-Turnbull-Morrison government is,” Mr Robertson said. "This is the biggest swing in history against a government in a federal by-election. It's clear that voters are sick of this rabble. "Scott Morrison said yesterday's loss was on the Liberals and he was right - their chaos, division, lack of any policy on energy and devastating cuts to our schools and hospitals. Mr Robertson said the government should do the right thing for the country and go to an election. "Scott Morrison and the LNP have brought chaos and unprecedented instability with this by-election,” he said. "This week has shown again why it is so important to focus on local issues.